Fresh air, sunlight, nature – the great outdoors can help babies and children grow and develop physically, socially, and emotionally. But there are many dangers to babies and children that can be very serious and even fatal. Drowning, dog bites, sunburns, frostbite – babies and children need protection. Baby Strollers & Carriages – Learn about what to look for in a good stroller or carriage and how to use it safely. Healthy Pets, Healthy People – How to avoid the diseases that pets can spread to people. Beach Safety Program – To promote safety on our beaches, Manitoba Parks has instituted a Beach Safety Program to help you and your family enjoy Manitoba's waterways as safely as possible. Flood Stress Information – When floods threaten individuals, families and communities, it's normal to experience strong emotions. The stress of losing a home or treasured possessions can take a serious toll. Insect Repellents for Children – How to combat bug bites. Safe Boating Guide – Safety essentials to remember before heading out on the water with children. 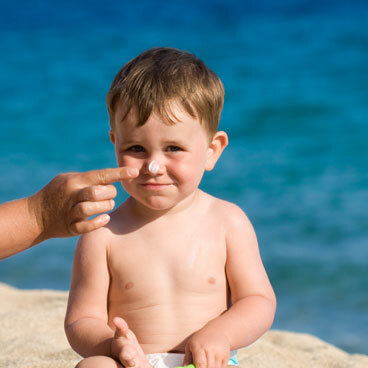 Sun Safety Guide – Sunburns and suntans are evidence of skin injury. Frostbite – Skin can freeze in cold wind, rain or snow. Find out what you can do to prevent it. Winter Weather Safety – Extreme cold temperatures can threaten personal safety. Find out what steps to take to have a safe winter. Winter Safety – Tips to help parents and children enjoy winter activities safely.